What is it? 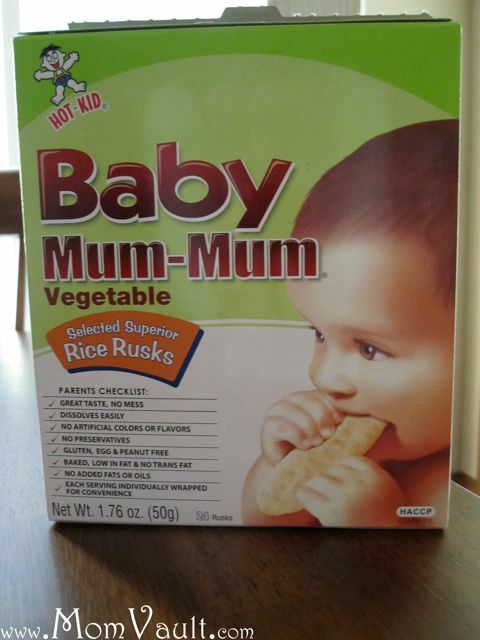 It’s a baked rice cracker for infants/toddlers that does not have artificial colors or flavors, no preservatives; is gluten, egg, and peanut free; low in fat and no trans-fats or added oils/fats. How does it work? It is designed to melt in the mouth and minimize the mess of normal crackers. Cool Features: These are individually wrapped servings which make them handy for traveling. Environmental impact: These are individually wrapped so it uses more resources to make and puts more garbage in landfills. Practical Point: Use these to keep your baby occupied while you make dinner, just be sure to always watch frequently to make sure they are not choking. $$$ Savings: Amazon offers 15% off if you want to receive this on a regular basis. Quantity Recommended: As many as needed! I just found these today and immediately fell in love with them. 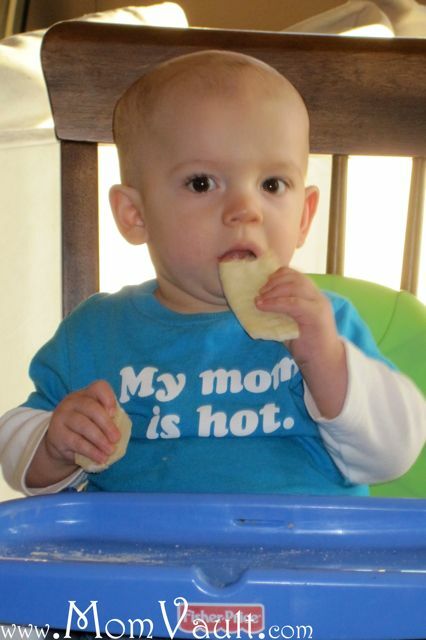 Dylan is 10 months old and loves the vegetable crackers and they support his blossoming independence!